Ammonium perchlorate (APC) is the most common oxidizer in use for solid rocket propulsion systems. However its initial thermal decomposition is an endothermic process that requires 102.5 J/g. This behavior involves high activation energy and could render high burning rate regime. 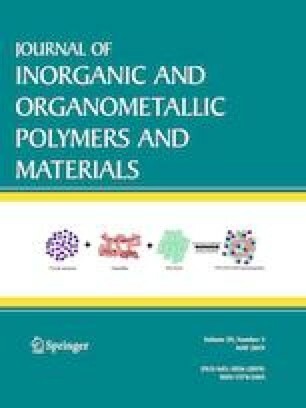 This study reports on the sustainable fabrication of barium ferrite nanoparticles as a novel catalyzing agent for APC oxidizer. Colloidal BaFe12O19 nanoparticles with consistent product quality were fabricated using hydrothermal processing. TEM micrographs demonstrated mono-dispersed particles of 10 nm particle size. XRD diffractogram demonstrated highly crystalline material. The synthesized colloidal BaFe12O19 particles were effectively coated with APC particles via co-precipitation using fast-crash solvent–antisolvent technique. The impact of ferrite particles on APC thermal behavior has been investigated using DSC and TGA techniques. APC demonstrated an initial endothermic decomposition stage at 142 °C with subsequent two exothermic decomposition stages at 297.8 and 452.8 °C respectively. At 1 wt%, barium ferrite offered decrease in initial endothermic decomposition stage by 42.5%. The main outcome of this study is that the two main exothermic decomposition peaks were merged into one single peak with an increase in total heat release by 19.7%. These novel features can inherit ferrite particles unique catalyzing ability for advanced highly energetic systems. This work has been conducted at nanotechnology research center in collaboration with department of chemical engineering, School of chemical engineering, Military Technical College, Cairo, Egypt.